"We believe that by being good listeners and understanding our clients' businesses, we ensure successful projects that not only create value for their organization, but also inspire people." 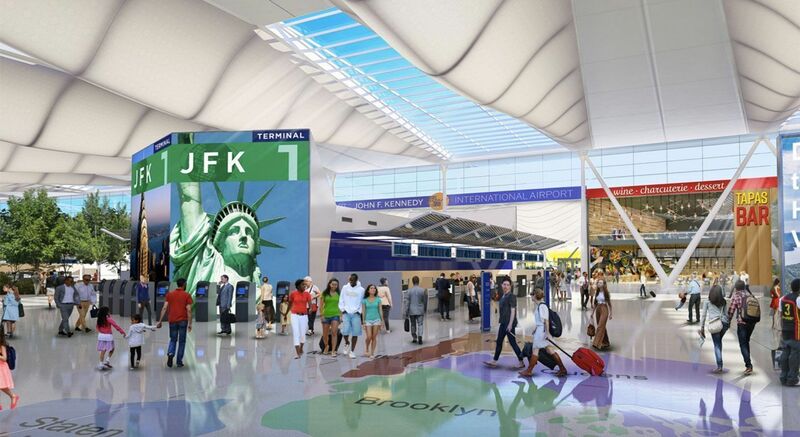 McKissack is part of the Terminal One Group Association (TOGA) and its world-class team of operating and financial partners selected by The Port Authority NY&NJ to lead the redevelopment and expansion of JFK Terminal One. The new 2.9M SF, $7B terminal will replace the existing Terminal 1& 2 and the site of 3. McKissack is proud to be part of the winning CM team for The Women’s Building project, the redevelopment of the former Bayview Correctional Facility in West Chelsea. 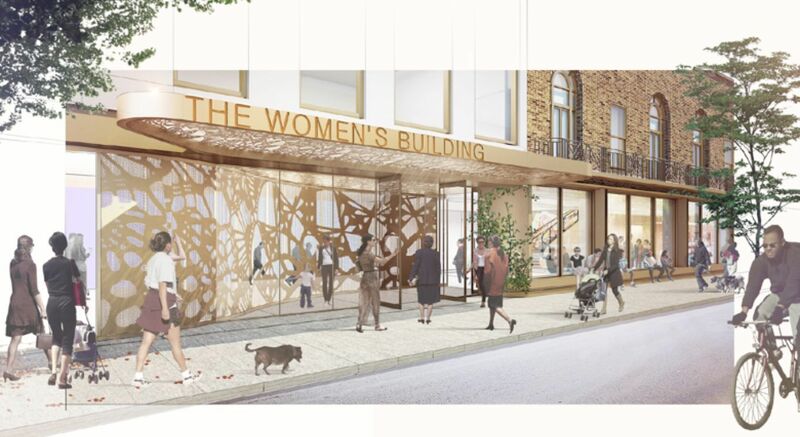 The project will transform Bayview into a hub of activism and engagement, and offer social justice leaders the resources and support they need to drive critical change in the women’s rights movement. McKissack is part of the team for the Redevelopment of the James A. Parley Post Office Building. We are providing design review and technical development services, and providing support to the commercial manager for the development of this iconic project for New York. NYC Economic Development Corporation CM Retainer Contract PRIME WIN! NYCEDC picks McKissack for new CM Projects City-wide. 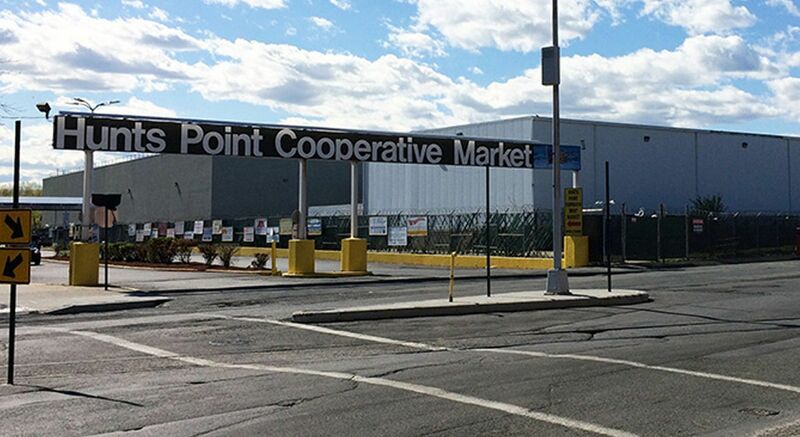 McKissack awarded multiple projects at Hunts Point Cooperative Market in the Bronx, and MART125 in Harlem. The contract has potential value at $150M and runs through 2019. McKissack is leading the design selection and construction process for the MART125 project located two blocks from our Harlem Office of Community Employment. 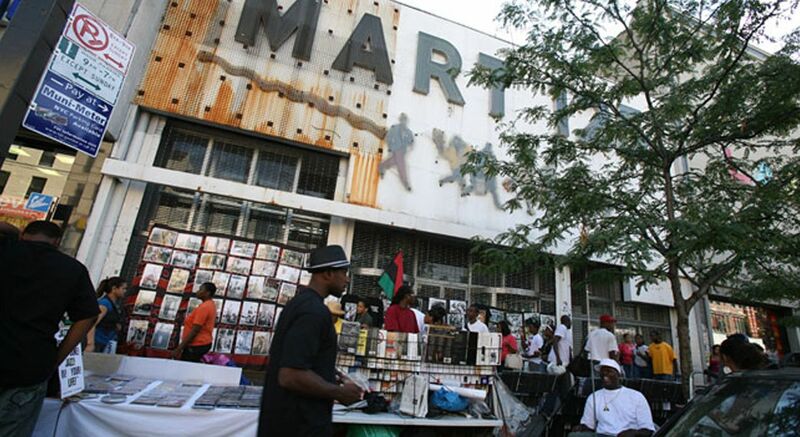 The new project will serve as a cultural and commercial hub for the Harlem community. Owned by a prominent contractor, he learns the building trade. His knowledge and passion for building would pass on to the future McKissack generations. The grandsons of Moses I launch the beginning of the McKissack legacy and family tradition in the building industry in Nashville, Tennessee. Despite the challenges and obstacles of discrimination of the era, the two brothers were the first and second African-American architects registered by the State of Tennessee. The $1.5M project was the first major Army Air Forces base built by a black construction company, and the first and only major military flight training base for black pilots. William, the youngest son of Moses III, succeeded Calvin, his uncle, as president of the firm leading with innovative ideas furthering the family legacy. He led the firm until 1983, when he suffered a stroke and had to retire due to his illness. Under her leadership, the firm won major contracts for new buildings & renovations at Fisk University, Tennessee State University and Meharry Medical College in Nashville, a $50 million renovation project for Howard University in DC, and the design of the National Civil Rights Museum in Memphis. As part of a tri-venture, McKissack provided construction management services on the $350 million NFL stadium for the Philadelphia Eagles. Cheryl begins the next chapter of growth for McKissack providing executive leadership on many new high profile projects for important new clients in NYC and Philadelphia. McKissack’s construction work has comprised multiple terminal, hangar, and land- and airside projects. Our current contracted work continues through 2020. McKissack was instrumental in orchestrating the day to day operations of this multi-prime and complicated science center (above) project, which included over 20 construction contracts at its peak. This $75M program required McKissack and its JV partner to provide on-call services on a 24/7/365 basis in order to correct emergency situations and on priority projects in any NYC School. We continue to work successfully with SCA today. McKissack provided construction management services in support of the Harlem Hospital Major Modernization Program for Phases 1, 2 and 4, and the new $325M Patient Pavilion. It was here at this project in Harlem that McKissack’s Office of Community Employment concept was born. During the Harlem Hospital project, McKissack established the Office of Community Employment Program for local community worker involvement on this project to provide M/W/LBE consulting services to attract, assist and facilitate minority, women and local business enterprises as well as community residents seeking construction-related employment in all phases of the project. The OCE opened in a permanent office on 125th Street (above) in 2012. Columbia selected McKissack--along with Bovis Lend Lease, the lead CM firm--as a core team member for the site preparation, approval process, and construction of the first phase of the Manhattanville campus in West Harlem. McKissack’s first JV contract as IEC started in 2009—we won the subsequent contract extension as a Prime. In March 2016, our 3rd consecutive Prime contract began, which will run through 2019. 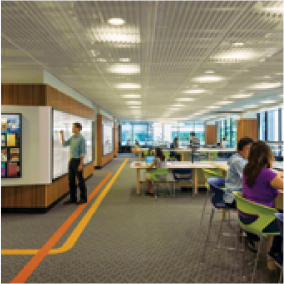 McKissack served as a major subconsultant to the JV team provided CM, project coordination and supervision, sustainable design, and MWBE procurement compliance and monitoring. After the client expressed the need to accelerate the project completion by one year, the JV team shifted to Integrated Project Delivery (IPD). Using IPD and LEAN construction principles, the team collaborated to align project scope, budget, schedule and expectations to maximize efficiency, minimize waste, and successfully completed the project within the new schedule parameters. McKissack immediately mobilized more than 250 damage assessors and support personnel. For the contract period from September to October in 2013, McKissack provided 1,233 damage assessments and prepared 2,466 Estimated Cost of Repairs and Allowable Activity reports. The Community Development Block Grant Disaster Recovery (CDBG-DR) inspections assessed the appropriate allocation of funds for the repair and replacement of homes damaged during Superstorm Sandy. 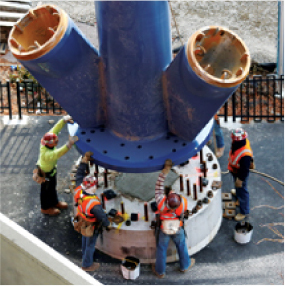 McKissack provided the City of Camden CM services for the Nine Pump Stations Project. Based on our excellent efforts the contract has been extended well into 2017 and will cover approximately 22 locations city-wide. McKissack is currently providing Community Outreach and MWBE Monitoring and Compliance services for the new SMH project. We will provide CM services as the project progresses into construction. 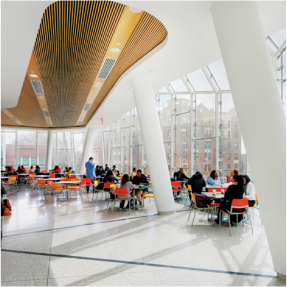 McKissack, in a JV with another firm, was recently selected to provide construction management, resident engineering and inspection services for the $700 million Coney Island Hospital (CIH) Campus Renovation Project, which is a result of the damages from Hurricane Sandy. cKissack was selected by NYCEDC’s Asset Management Division to provide construction management services at various properties located throughout the five boroughs of NYC. First projects awarded include two Bronx projects: Hunts Point Coop Market, Fulton Fish Market, and MART125 on 125th Street in Harlem. As part of a major redevelopment project in Camden, McKissack provided Community Outreach and Workforce Development services and expertise in locating and identifying opportunities for the local and community workers. McKissack will commence with managing all design and construction initiatives on this four-year contract. McKissack’s expanding Recovery and Resiliency division provided emergency response Program Design, Subject Matter Expertise, Case Management and Outreach staff to administer the State of Louisiana’s Governor’s Office of Homeland Security and Emergency Preparedness’ (FEMA and HUD funded) disaster recovery efforts. Many recent project wins include GOSR Living with the Bay Resiliency Project (above), NYC DEP 235th Street Pump Station, NYC EDC Green Infrastructure Project, Fresh Kills Redevelopment, and the Pier 57 Redevelopment, to name a few. Following $500M worth of contract awards in the final two quarters of 2016, McKissack kicks off the year with the 2017 Strategic Plan to craft and form our strategy for our next chapter of growth and the continuance of the McKissack legacy. McKissack will prepare Pier 42 in Lower Manhattan for the next phase of the East River Waterfront Park and Esplanade for NYCEDC. McKissack’s Recovery and Resiliency Division continues its growth in Superstorm Sandy recovery efforts. Contract wins include the Port Authority of NY & NJ, Town of North Hempstead and City of Long Beach (above). Aligning with McKissack’s mission, the Mentor Program increases, facilitates and encourages the participation of minority, women-owned and locally-based enterprises within the construction industry. 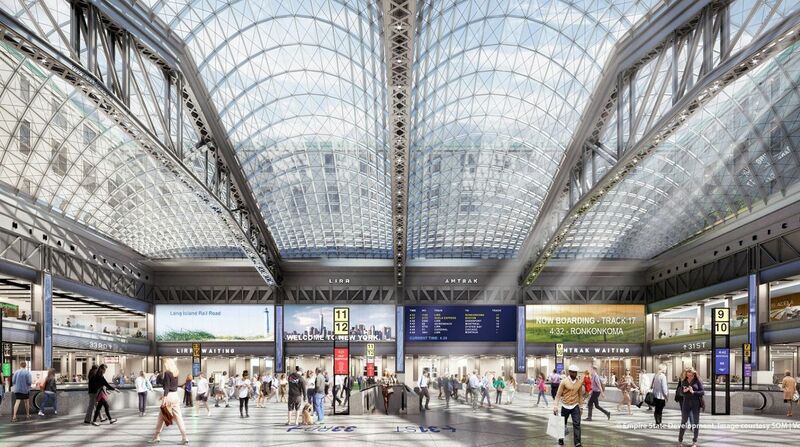 McKissack is providing CM and MWBE Monitoring and Compliance services to the team working to transform the James A. Farley Post Office into the New Penn Station. LaGuardia Gateway Partners taps McKissack to be part of the LGA Redevelopment team. McKissack is part of the project team providing CM services and MWBE Monitoring & Compliance services.